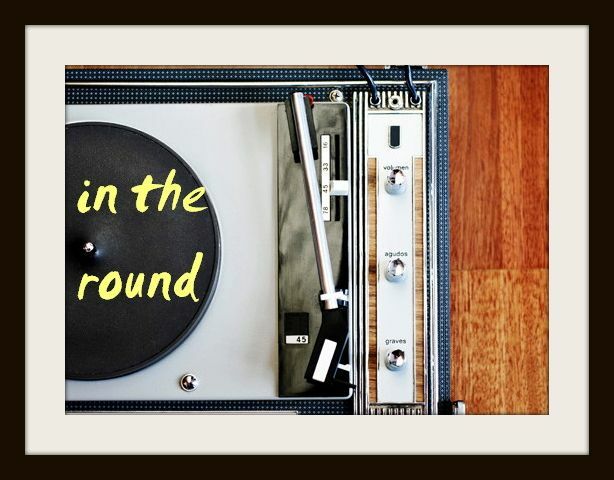 In The Round: Favourite New Song: Jim James' "A New Life"
Well, I've never heard this side of Jim James. And I'm pleasantly floored. On "A New Life," the most recent single off the My Morning Jacket front man's February solo album, I'm delighted to say that James has penned another instant classic. Over prom dance chords, twinkling xylophone and painfully sweet lyrics, the veteran front man reveals an uncharacteristically tender plotline - narrated by doo-wop croons that are starry-eyed, optimistic and all sorts of lovestruck. With his decades of proven ability to craft eclectic rock classics, there's no denying James always has something compelling to say; but this intimate, sugary glance into his romantic psyche isn't the type of tale that comes with each new album. In a discussion with Rolling Stone magazine, James revealed the exposed ballad came from a mish-mash of revelations; namely his 2008 fall off stage, reading an inspiring old book and being struck by cupid himself. On "A New Life", James told Rolling Stone: "It's about making a conscious choice to open a new door for oneself. To step forward out of safe stagnation or fear and into beauty or peace or whatever you would like to call truth in your heart in order to begin a new life in and of love." Wowzas. Those words alone are enough to coax fans into falling more in love with the dynamic scruffy legend, but paired with the gentle stomp build-up and slow song potential - I could go for an entire song listing filled with more of these sounds.